Last edited by Ron; 06-10-2011 at 11:29 PM. Do you know how the throttle is figured into the speed? I don't see anything on the schematic and am assuming its something mechanical. The extra cable from the throttle turns a rheostat that's mechanically part of the speed generator, i.e. it's not on the schematic. The throttle postion adjustment happens before the voltage is applied to the circuit board. Can you get speed pulses out of the governor computer, say for a digital speedometer? If so, do the two white wires go all the way up to the GC wiring socket? Yes, the white wires terminate in the block...with no connection. You can see them in the pic above, just above the end of the hemostats. I used marker light bulbs. Refer to main schematic in post 1 for light behavior. Last edited by Ron; 10-24-2011 at 09:52 PM. Yes you can. The signal on the white wires is an AC voltage who's amplitude AND frequency are proportional to the speed. On the old .com site there was quite an extensive thread in the resources section that described the manner in which the Delorean automatic transmission governer circuit worked; it included descriptions of the circuit's major components, an explanation of its function when run on circuit simulation software, and was accompanied by signal diagrams for illustration. The schematic listed by Ron at the start of this thread was an evolutionary result of a lot of work by various members of the/this site. In an effort to recover that information and preserve it, I went poking around wayback and pulled some of the information from that original resource thread and combined it with/updated the thread's initial post. The majority of the text that follows was pulled from the original thread. Additions and minor corrections have been indicated where applicable. Let's rebuild the knowledge base guys. Original txt posted 11-02-2007, 02:22PM by RamonetB, a "Papa Smurfy Member"
This is, hopefully, the start of a collective knowledge base on the Automatic Transmission Governor Circuit. It’s going to get a little technical, but I think everyone will benefit from it just the same. I’ll try to keep the really technical jargon towards the end. Bear with me, this is a LONG post but riches will be your reward if you stay the course. It’ll help me too if you point out any errors. Please excuse some of my explanations. I’ve no bearing on the electrical technical level of most of us, so I wrote to an audience with little know-how for the sake of covering the bases. It’s not my intent to insult the intelligence of people. This past week at work I was asked to evaluate a new circuit analysis program from National Instruments called MultiSim. This is, supposedly, leaps and bounds beyond PSpice. I was never a fan of PSpice and its, what I felt to be, clumsy and bulky interface (changes may have been made in the last 5 years, I don’t know) and hoped MultiSim would be more user friendly. Long story short, it was, but still needs great improvements, I think. Sorry for the large image, I don't know how to adjust the size yet on the .org forum. How it works (easy version). The DeLorean Automatic Transmission computer, or Governor Circuit (DAGC from here on out) is, at it’s most basic, a circuit designed to compare voltages to instruct when the transmission should shift from one gear to the next. A constant reference voltage is setup and compared to a voltage generated from the transmission and throttle. When the voltage generated exceeds the reference voltage, a power transistor fires one of the solenoids in the transmission, shifting the car from one gear to the next. Let’s begin in the top left. This portion powers the circuit and sets up the reference voltage used for voltage comparisons. The most important aspect here is the Zener Diode just below the label “Reference Voltage Zener Diode.” The voltage coming in on this line is held at a constant 7.5V by this diode (explained more fully in the technical details later on). Following the trace beyond the diode, you’ll see it run into a resistor network of 2.21k Ohms and 1.62k Ohms. Here the voltage is converted from 7.5 to appx. 3V which is sent to the negative pin on both Operational Amplifiers, or Op-Amps (They are the triangles on the right half of the diagram). The top Op-Amp controls 2nd gear while the bottom Op-Amp controls 3rd gear. The voltage which these Op-Amps compare to the reference comes in on the positive pin. When the voltage on the positive pin exceeds the 3V reference voltage on the negative pin, the voltage at the output of the Op-Amp changes from 0V (or nearly 0V) to 7.5V. This voltage tells the attached power transistor (Labeled TIP42C) to open up and stop conducting current to ground. Therefore, the solenoid, represented by a light bulb here, changes state, and, in the case of the top Op-Amp, the car shifts from 1st gear into 2nd gear. The same thing occurs when shifting from 2nd gear into 3rd gear. It takes more generated voltage, however, to exceed the 3V referenced on the negative pin of the bottom Op-Amp because of the additional three resistors (6.4k, 8.1k, 10k) on the positive pin line, which reduce the generated voltage. What’s the deal with the Kick Down? The kick down is what causes the car to enter “passing gear.” When you are in 3rd and you try to pass someone, you depress the pedal until you feel the car kick and speed up rapidly. This is the car DOWNSHIFTING into 2nd gear. Second gear has more torque than 3rd and enables the car to accelerate quicker (just as a lower gear does for a manual, albeit all this is up to a certain speed, of course). The kick down is what performs this function. It basically provides a path to ground for the solenoids, bypassing the voltage comparing Op-Amp part of the circuit, and forcing the car into a lower gear. Once you let up off the gas, the kick down opens up, and the solenoids are once again controlled by the comparator Op-Amps. NOTE: [Added by axh174 10-28-2011, 01:02PM] Mounted alongside the throttle spool in the engine bay of the DeLorean is a "WOT" (wide-open throttle) microswitch. On Deloreans equipped with an automatic transmission, a second "kick-down" microswitch is mounted along with the WOT microswitch. The kick-down microswitch, when closed, provides a path to ground and is represented by the green line in the schematic, located between diodes D2 and D3. Thought not directly illustrated as a switch in the current schematic, it exists along the length of the green line and when the switch is not closed, the green line path to ground is open. So give me the technical end. What happens when this stuff breaks? Lay it on me. Okay. Let’s start with the heart of the circuit, the Reference Voltage Zener Diode. If there is no stable constant reference voltage, then there is no defined shifting voltage and your car doesn’t know what to do. A diode basically functions as a one way switch. Current goes one way, but not the other. Of course at some point, this quality can be destroyed if too much current is applied. Related to this is the Zener Diode. It operates as a normal diode, conducting current one way, but has a built in reverse breakdown voltage. Meaning, a condition that would destroy a regular diode is actually a feature in this one. When a certain voltage, known as the reverse breakdown voltage, is applied to the Zener, it begins conducting in the opposite direction. Being a 7.5V Zener diode in the DAGC, the reverse breakdown voltage is 7.5V. Therefore, it conducts to ground when the voltage reaches 7.5V, or higher. So, any voltage above 7.5 will force it to conduct to ground. Anything below keeps it from conducting to ground. Thus, it regulates the voltage nicely at a constant 7.5 volts. If your Reference Voltage Zener diode goes bad (as mine did) shifting gets very messy as the reference voltage is no longer constant. It gets crazier too, but that will be explained in the Op-Amps section, as it directly relates to how they perform their job. What makes the reference voltage 3V instead of 7.5V? Vout = [Rn / (Rn + Rn2 + Rn3 +Rn..)] * Vin. Op-Amps are capable of many a great thing and used in many a great circuit. Their complete breakdown is beyond the scope of this forum, so I’ll stick to the main points used in this circuit. There are 5 basic pins to an Op-Amp. Vs+ and Vs- are the power pins (source voltage pins) for the Op-Amp circuit. V+ and V- are the input voltage pins (positive and negative pins, respectively, or non-inverting and inverting). Vout is the output. (Duh). The voltage on Vout is controlled by the voltage difference between V+ and V- and cannot exceed the voltage defined by Vs+ and Vs- (since they are the power pins). This is why the minimum voltage in the comparator is 0V (since Vs- is set to ground) and the maximum is 7.5V (since Vs+ is powered by the 7.5 voltage from the Zener diode). If an Op-Amp is setup in comparator mode (as it is in this circuit), and the voltage on V- exceeds the voltage on V+ (V+ < V-) Vout is a negative voltage. The opposite is true as well, V+ > V-, Vout = +. The Op-Amp is geared such that a VERY small change in the difference between V+ and V- results in a very LARGE change in Vout. This is why the voltage on Vout swings quickly to 7.5V when V+ just barely exceeds V-, activating the power transistor and shifting gears in the transmission. Now, one of the “ideal characteristics” of an Op-Amp is that it tries to keep the voltage on V- and V+ the same. For a comparator circuit, this quality isn’t exactly the greatest. This is another reason the Zener diode is so fundamentally important! With the Zener diode (in combination with the resistor network), it keeps V- at 3.17V. V+, on the other hand, is wired to a variable voltage source (the transmission and throttle generators). The Op-Amp can only try to make V+ match V- in so far as the source is supplying voltage. So if you’re only generating 1 volt, the Op-Amp can only match the 3.17V on V- to 1V on V+. If the Zener diode is absent or broken, the inverting pin (-) is now tied to a 12V source (with some resistors in there of course, resulting in a voltage of about 6V) and the Op-Amp will try to keep it matched on V+ up to the 6V supplied. Thus, generated voltage on V+ will be matched on V-. This is what I was talking about under the Zener diode section. With the circuit crippled in this fashion, shifting will occur sporadically or, more likely, only at high RPMs, IF AT ALL. As the difference between V- and V+ necessary to change Vout to 7.5V will not occur, or only occur at high RPMs, when the generated voltage on V+ exceeds the top value of V- (6ishV) from the 12V source. What about those power transistors? The TIP42C? The TIP42C is a PNP based power transistor. Don’t worry about the PNP part, it refers to how the component, internally, conducts electricity (doping levels with “holes,” or “electrons”). Simply know that a transistor is basically a switch that can be turned on or off depending upon the voltage on the base (marked by the “B” in the diagram. E is the emitter, C is the collector). In the DAGC, the power transistors are “on” and conducting current to ground when a small voltage is applied to the base. When the Op-Amps compare voltages, outputting a high voltage as V+ > V-, the high voltage on the base instructs the transistor to turn “off.” It no longer conducts current to ground, the light on your breakout box goes off (if so equipped), and the solenoid falls out of position, shifting the car into 2nd or 3rd. The beauty of this is that, when in 3rd gear (the gear most would spend the longest time in) there is no current conducting through the transistors and therefore little to no heat generated from them. They’re at rest! What makes the TIP42C so special in this application is that it is a high current (and high heat) component, necessary for the operation of the solenoids. An ordinary transistor would not thrive long or blow out trying to drive the solenoids. One final point to make here is that many DAGC diagrams show the power transistor as NPN style with the emitters tied to ground and the collectors connected to the solenoids. Through both visual inspection of VIN 2234’s circuit and through the MultiSim circuit simulation these power transistors have been verified to be PNP style with collectors tied to ground and the emitters connected to the solenoids. How does the transmission and throttle give me a shifting voltage? Why do I hear so much about replacing some “Caps”? These two questions are related. The capacitors that are usually in need of replacement are part of the AC to DC conversion circuit. It’s located in the middle left of the schematic. To help visualize what’s going on, I’ve taken a simulated oscilloscope screen shot of the circuit in action. To start, the yellow line is the AC signal being generated by the transmission and throttle. It’s a rather nice sine wave with a peak voltage of 4V. This signal must be converted to DC voltage for comparison by the Op-Amps. This process is started by the diodes that are just past the AC sources (D4 and D5). Recall, a diode only allows current to flow one way. 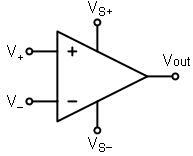 Thus, when an AC signal is sent through a diode, the positive edge of the signal results in a positive voltage on the output. As the AC signal swings negative, the voltage begins to drop off until the AC signal begins to swing positive once more. The result is the blue line in the image, a sawtooth like waveform. This sawtooth signal is a very bad DC representation. To smooth it out further, it’s sent through a resistor / capacitor network (capacitors C3 and C4 and resistor R23). As the capacitors charge and discharge from the signal, they help to maintain a steady voltage. The final signal is seen as the pink line in the image, a much healthier and cleaner DC signal. This is why the capacitors need to be replaced if they are starting to fail. They are no longer able to produce a smooth, clean DC signal. Instead, a sawtooth like signal (with a lot of noise added, I’m sure) is being sent to the circuit. The Op-Amps especially will suffer, seeing a constant change in voltage on the non-inverting (V-) pin, spiking repeatedly between voltages (about 3 to 3.5V in this example). REMEMBER, a very small change in the difference between V+ and V- on the Op-Amp results in a large change on Vout. With the input signal noisy and varying because of bad filtering capacitors, the transmission will shift erratically, poorly, and at odd times. This last bit is still somewhat of a mystery to me, but I'll do my best to explain what I've observed. Some have no doubt noticed, and DrNo inquired me about, that Elvis' schematic has a connection for the manual shift selector. Inquiring minds want to know, how does manually putting the car in a gear affect what happens in the circuit? The closest I can figure it, when the car is in 1st gear, you are directly affecting the Pink wire (in the upper left quadrant of the schematic), effectively connecting it to ground. This "turns off" the transistors (T1 and T2) which setup comparison voltages to the Op-Amps. With these guys turned off, the voltage compared on the positive pins of the Op-Amps never exceeds the 3.17V reference voltage. As a result, there can never be a change in Op-Amp output voltage and therefore the power transistors never turn off. You car is stuck, forcibly, in 1st gear. What gets tricky is when you place the car in 2nd. When in 2nd gear, there is no resistance / voltage change on the brown line (it seems to only relate to 1st gear selection). However, when measuring resistances across the solenoids at the block top, one of the solenoid's (Solenoid B, actually) resistance changes from 25 Ohms to near 0 Ohms! What this means is that the solenoid now has a path to ground and is capable of conducting an electrical signal. It is literally now in the "ON" position. With solenoid B manually tied to ground (effectively in the "ON" position), the car will never shift into 3rd gear as both solenoid's need to be cut off from a ground for this condition to exist (see the truth table listed at the bottom center of the schematic). What I find fascinating about this is that the grounding of solenoid B is occurring outside of the Governor Circuit, most likely somehow within the black block top. With all this said, there are some things that I’m sure we’ve heard need to be done to the circuit to make it a little more robust. In fact, some things that SHOULD have been done and considered good engineering practice. 1) 0.1uF (microfarad) decoupling capacitors across Op-Amp power pins (Vs+, Vs-). What’s the importance of these? NOISE! Recall that a capacitor is able to smooth out a voltage signal and help suppress noise. That’s exactly what these babies are doing for the power inputs of the Op-Amps. Clean power = happy circuit. They will also help absorb the impact of any spikes in the supply voltage. 2) As Mark Hershey points out in the link at the start of this now very lengthy post, antispiking diodes across transistor output leads. (Recommended model ln4007). The transistors being spoken of here are the TIP42C’s (not the original transistors in the circuit, mind you, but a more modern and rugged equivalent) which drive the solenoids and are, in turn, activated and deactivated by the Op-Amps. These anti-spiking diodes will help reduce erratic shifting behavior and, in the worst case scenario of a major voltage spike, help save your power transistors. Hopefully that touches on much of it. Yes, I would like this to be the beginnings of a complete guide / tutorial. So please, comment and correct if you find something wrong or if something doesn't make sense. And perhaps this will lead to a new digital design (as some colleagues have once again expressed interest in this as they saw me prepare this write up). For those of you who may have NI MultiSim, I'll share the circuit, but it won't let me attach it here in the forums. Now I need a rest. That's a lot of writing! P.S. Transistor and Op-Amp images from Wikipedia. Last edited by Ron; 10-28-2011 at 02:42 PM.